Why the website hasn't ruined diplomacy forever. The Wikileaks cables are certainly important: They make public the sort of first-hand, original-source information that, until now, it has taken historians and journalists years or decades to obtain. But does this mean that the days of secret diplomacy are over? Not even close. The reason is that the foreign policy bureaucracy will adjust, as it has before. True, Wikileaks has taken us well beyond the types of disclosures that the Freedom of Information Act, for the past several decades, has provided to journalists and historians. Like other authors, I occasionally file requests for State Department cables and other documents. Often, the files you’re seeking come back years too late. The hapless State Department officials assigned to handle Freedom of Information requests—who are generally not the most talented, up-and-coming people in the department—seem to delight in releasing only the most trivial and meaningless cables, and in doing so after a book has already been published. Even my one unusually successful use of the Freedom of Information Act took five years. I had noticed a reference to a study of China’s negotiating behavior, done for the National Intelligence Council. When I filed for it, I got back several years of denials and excuses. 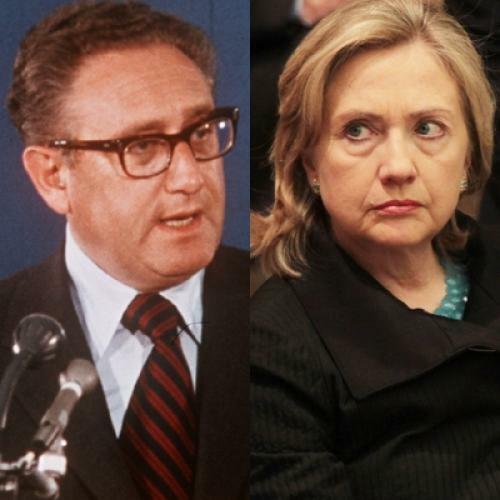 Finally, my newspaper, the Los Angeles Times, filed suit, and, a year later, the study was released, with abundant detail about the development of Richard Nixon and Henry Kissinger’s diplomacy with Beijing. And yet, even that study was heavily redacted. (There are sections about American arms sales to Taiwan in the study that, I believe, have still not been made public.) Now, with the Wikileaks documents, we have State Department cables about events from 2010, with no deletions, blackouts, or redactions. But secret diplomacy is not going to suddenly become a thing of the past. After the Freedom of Information Act was passed in 1966, there were predictions by mournful government officials that there could be no more secrets—and yet, our bureaucrats quickly adapted, finding ways to keep things in the dark. Not everything has to be put in a State Department cable. There are intelligence channels, sensitive compartmentalized information, and so on. In fact, let’s come back to that example of the Nixon-Kissinger diplomacy on China. Virtually none of it went through the regular State Department cables. Kissinger kept the State Department out of the opening to China from the beginning—because he was scared the news would leak. He wasn’t afraid of Wikileaks, of course, or even the Freedom of Information Act. He was afraid that friends of Taiwan inside the U.S. government, like the CIA official Ray Cline or Senator Barry Goldwater, might see the cable and leak the news on their own to Chiang Kai-shek’s government. When the Nixon administration opened a liaison office in Beijing, the precursor to the embassy, it very quickly arranged to have an intelligence channel that was separate from the State Department cables. Kissinger and the Chinese agreed that each government would have a single, declared intelligence officer in the other’s capital; the late Jim Lilley became the first CIA officer in Beijing. And one of his first jobs was to make sure that the real secrets didn’t go into the regular State Department cables. So, while the cables released by Wikileaks will give new meaning to the words “modern history,” and, while we now know more than we ever did before about the State Department’s recent diplomacy, it’s also worth remembering that State Department cables don’t contain everything. And, yes, there will still be secrets in the future. James Mann is an author-in-residence at Johns Hopkins University’s Paul H. Nitze School of Advanced International Studies.